It's November 1st and do you know what you are getting friends and family as gifts? I hear ya...Christmas is next month. But as we all know, gift buying creeps up on us and then we are rushing around, last minute, for that perfect gift. (drum roll please..) NEW to the boutique, today, are two beautiful beaded keychains. I'm most especially excited about the Personally Yours Purple Heart Charm Beaded Keychain (K104) because you can personalize it with your own family, friend or pet photo! And it makes a perfect gift for Mom this Mother's Day. Not so much a key carrying person? No worries! 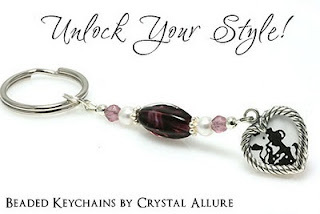 The Crystal Allure collection of handmade beaded keychains are versatile enough that you could even stylize your handbag, purse, computer bag, or well, any bag by simply slipping the ring onto the handle. So go ahead -Unlock Your Style with a beautiful beaded keychain by Crystal Allure! Pssst. I also realized the pictures of the other key chains available weren't as great as I'd like so new, updated pictures for those will be coming soon. But rest assured, all Crystal Allure Jewelry and Beaded Gifts are more beautiful in person than any camera can catch on its' lens! That's a guarantee! 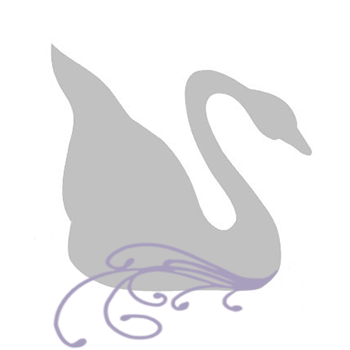 I may have designed it -but you get to personalize it! This beautiful beaded keychain features a heart-shaped picture frame to personalize with a picture of your child, loved one or favorite pet. Accented with stunning dark and light purple glass beads, white Swarovski Crystal Pearls, sterling silver beads and Bali. 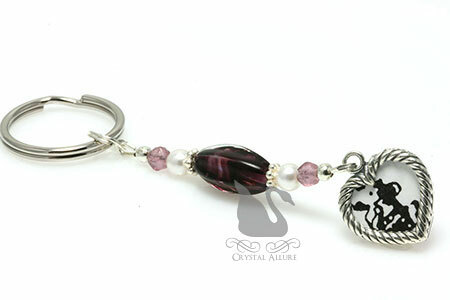 Make this key chain a purse charm by requesting a FREE silver hook at checkout. Total length (with ring) 4". Not only can Mom personalize this keychain with her child's picture, she can use it as a keychain or as a brag charm by simply attaching to her purse, work bag or wallet. That is a beautiful piece, Stephanie! It was worth all the time spent reorganizing to reignite. I like the ability to personalize it. Nice touch. And, yes, your designs and work are incredible when they're in your hand! Or on your keychain, or on your wrist, ankle, around your neck, etc.